An Ennis man, who carried out unprovoked attack on a woman in her home, has been sentenced to two years in in prison following a finding by the Court of Appeal that his wholly suspended three year sentence was“unduly lenient”. 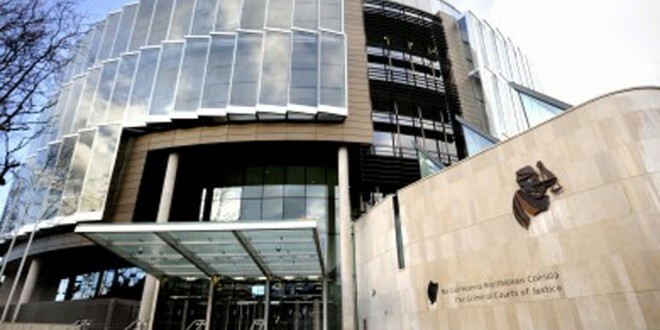 Alan Kilmartin (35), of Davitt Terrace, Cloughleigh, pleaded guilty at Ennis Circuit Criminal Court to assault causing harm to a woman at an estate on the Lahinch Road, Ennis on March 2 2012. He was given a wholly suspended three year prison sentence, suspended for five years on conditions, by Judge Carroll Moran on November 25 2013. The Director of Public Prosecutions successfully argued in the Court of Appeal last month that Kilmartin’s sentence was unduly lenient. President of the Court of Appeal Mr Justice Seán Ryan said on Monday that there were undoubtedly mitigating features in favour of Kilmartin but they did not “obliterate the seriousness of the crimes”, their severity and their impact on the vicitm. Mr Justice Ryan had said Kilmartin was employed as a security man in the area of the victims’ residence. He called to her home on the night in question and gave her information about possible interference with her car. He came into her apartment, which surprised her understandably, and he made an inquiry about the water in her apartment. She went to check her water and when she returned he “set about attacking her with a metal implement”. Kilmartin beat her about the head very seriously causing her head injuries, including lacerations. She also had protective injuries – fractures on the fingers when she tried to protect her head from the blows. A fracture on the thumb had resulted in severe restriction of movement of her thumb. The circumstances were also very threatening. As she cowered in terror and pleaded for him to stop, he told her to shut up and to take off her clothes. It’s perfectly clear from her “impressive testimony” that this attack had very grave and long term consequences on her. It was her explicit wish not to be identified by the press, the court heard. “Physical injuries were only part of the problem,” Mr Justice Ryan said. It had affected her physical well being, her psychological well being, her confidence, her employment prospects, in the multiplicity of ways in which this event can have on somebody. It was clear, the judge said, that Kilmartin was suffering from psychiatric depression. Sentencing was adjourned for five months and expert evidence was given which described the condition he was suffering from, Mr Justice Ryan said. The judge acknowledged this was a serious mater and “a savage attack”. He acknowledged Kilmartin’s guilty plea and noted it was less valuable than might otherwise had been because of the strong evidence against him. Mr Justice Ryan said Kilmartin’s plea of guilty and the fact he was suffering from a psychiatric illness were “genuine mitigating features”. However, there was no way the judge was legitimately entitled to decide on a wholly suspended sentence, he said. Mr Justice Ryan, who sat with Mr Justice John Edwards and Mr Justice Michael Peart, ordered that a €3,000 offer of compensation be returned to Kilmartin because the victim “did not want anything to do with it” in counsel’s words.